Missiseipi on the river of Porsgrunn. 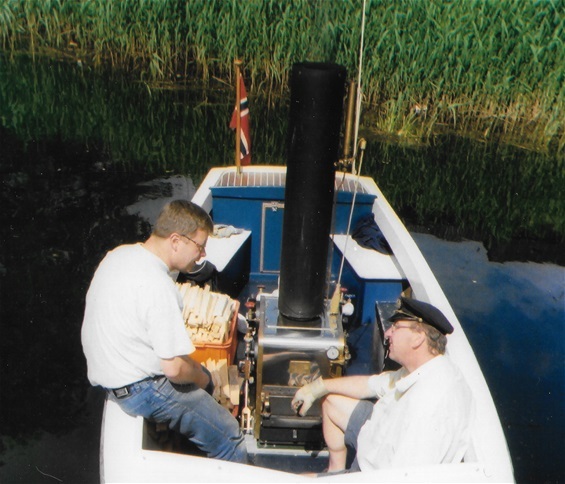 Børre ( at front) is taking care of the boiler. 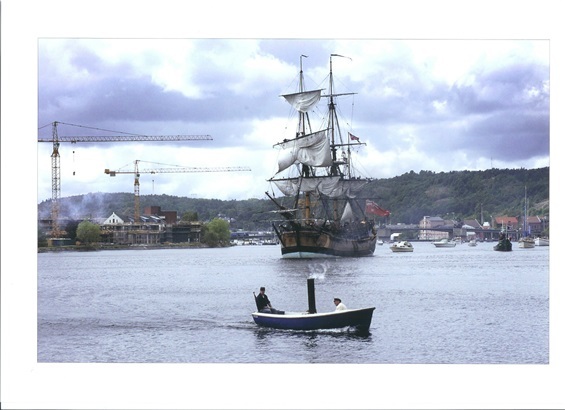 This is a typical Sunday out on the Porsgrunn river. 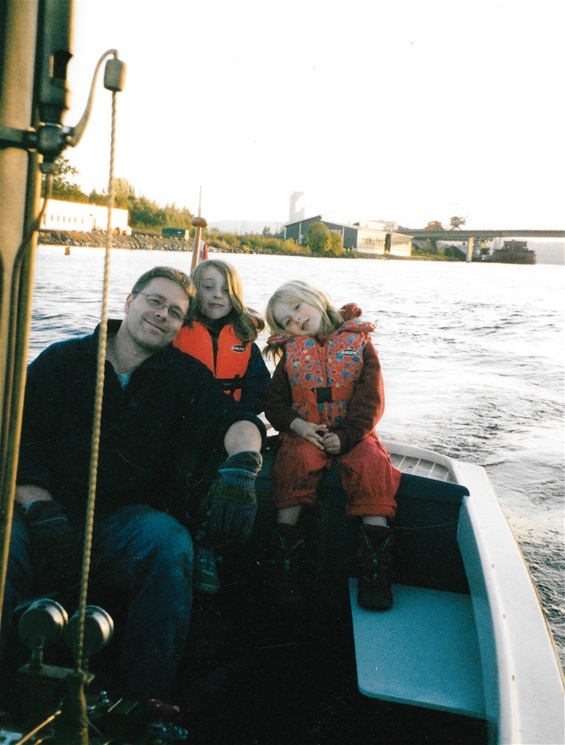 This photo was taken in 2003 when we lived in Porsgrunn. Vilde (5) to the left and Johanne (3) to the right. 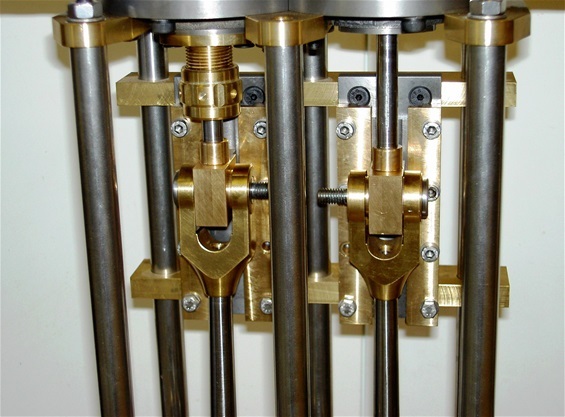 Max running pressure is 10 bar. Not enough stem and wood. Arve, a good friend and colleague paddling. 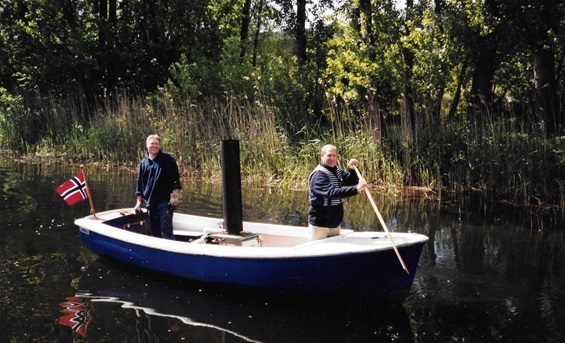 I named the steam boat Missiseipi after my wife Birgitte Seip. Also on the photo is my oldest daughter Vilde. 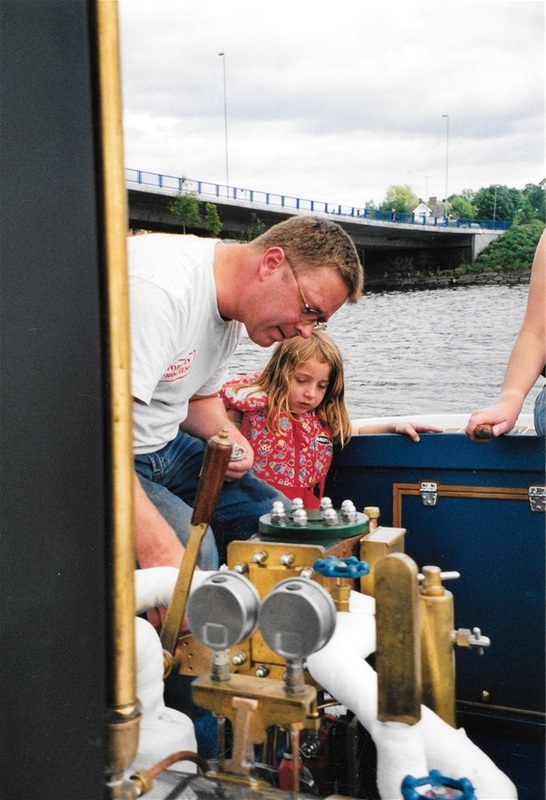 Vilde started steamboating at a very young age, around 5 I think. 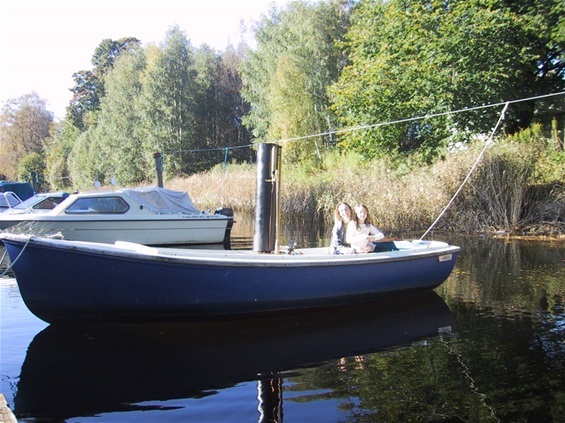 She would held a steady course up the river while I was taking care of the boiler and engine. Børre ( to the left) always took care of the boiler. Børre taking care of the fire. 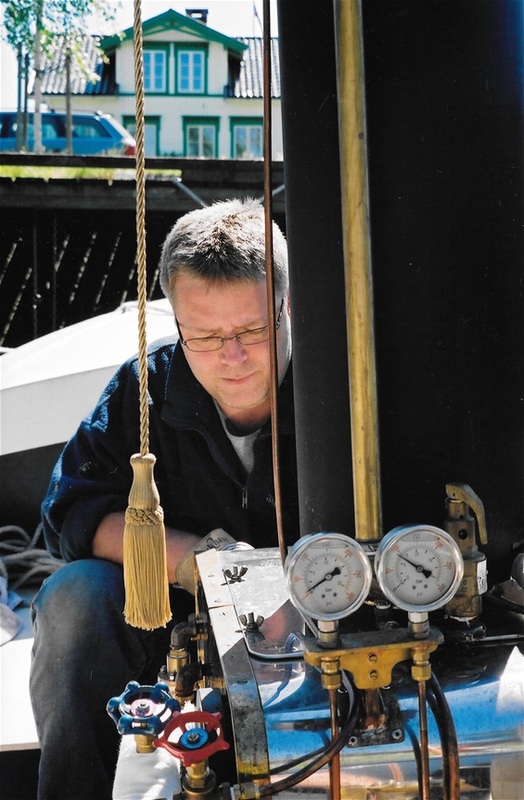 Vilde is learning about prop shaft alignment. 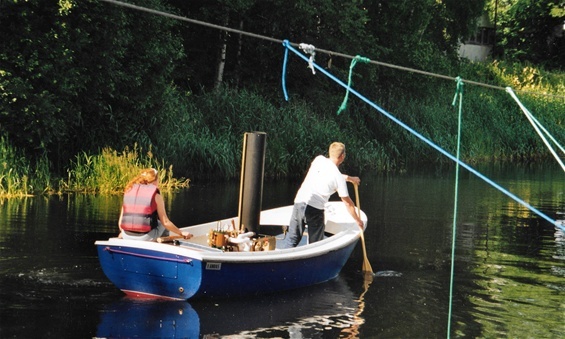 In the beginning there were many problems to be solved before the boat could run ok. 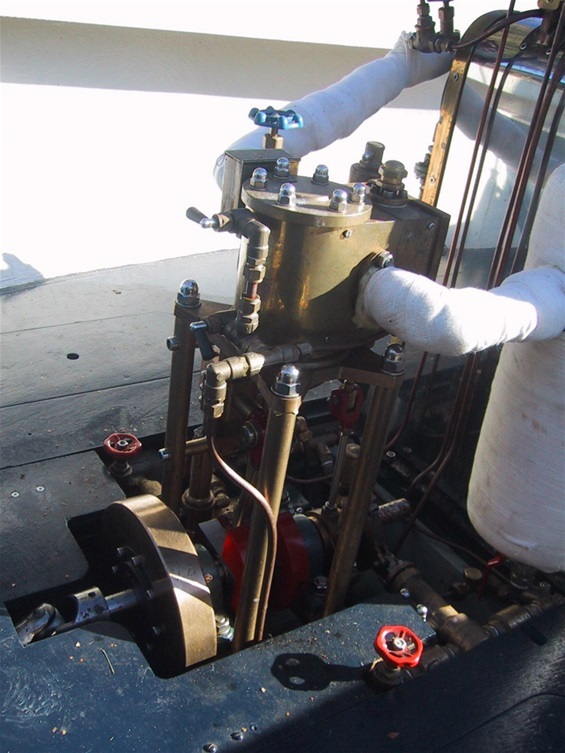 Sometimes a valve got stuck or a pump failed. I had problems with the prop shaft, the engine and a lot of other things. But we never gave up and at the end everything worked fine. 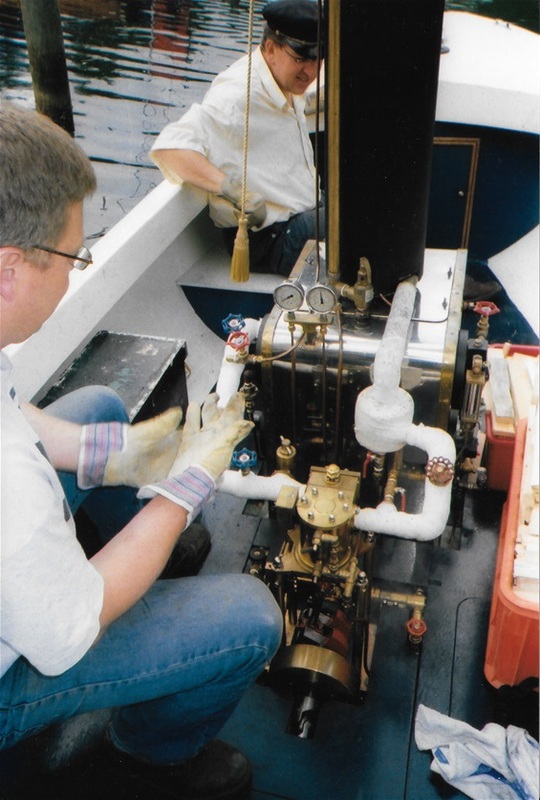 But as usual in steam boating, when it runs good, there is always a new engine to be tested or some other alterations that have to be tried out. 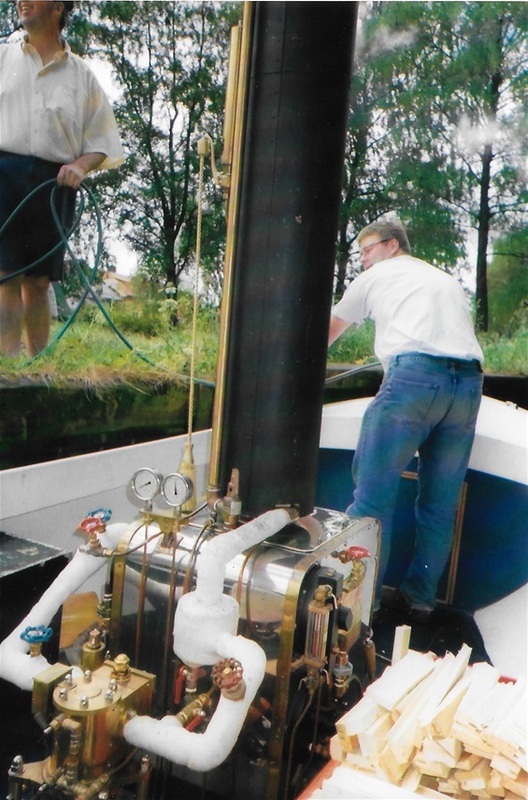 This engine was built to find the right size (bore/stroke) compared to the boiler. 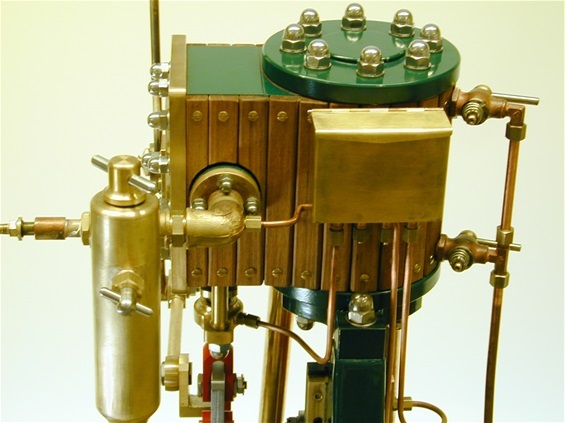 The boiler is made by Glyn Lancaster Jones. Its a Lune valley 2 drum watertube boiler.Heating surface 10 sqare feet. Iam using wood as fuel. 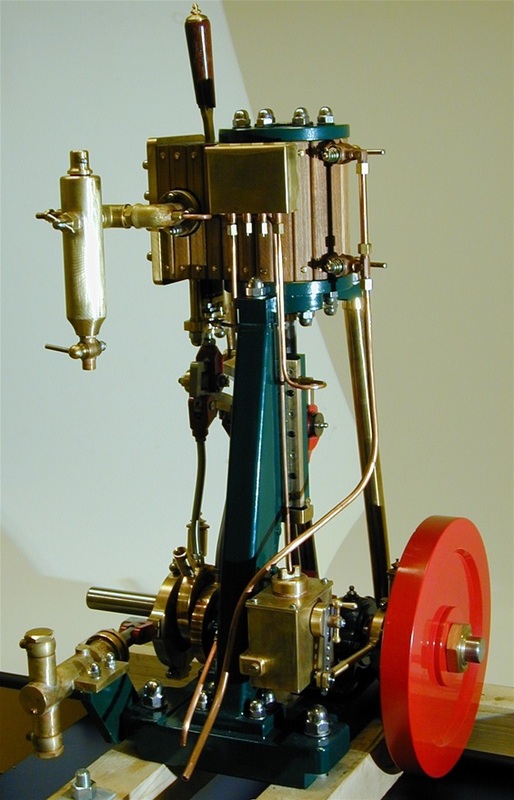 This is the best steam engine I have ever made. It’s quit big with a bore/stroke of 80x100 mm. This engine is way too big for my 16 feet boat. 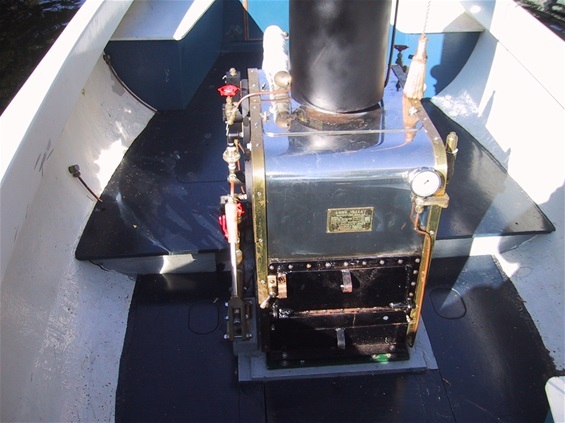 A boiler to suit an engine like this would not leave much room for crew and passengers. 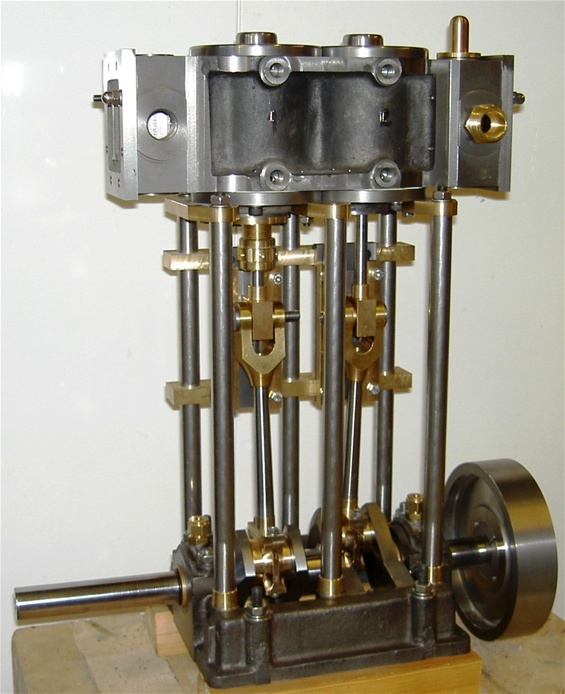 Lubrication is by wick feed, oil pump and displacement lubricator. 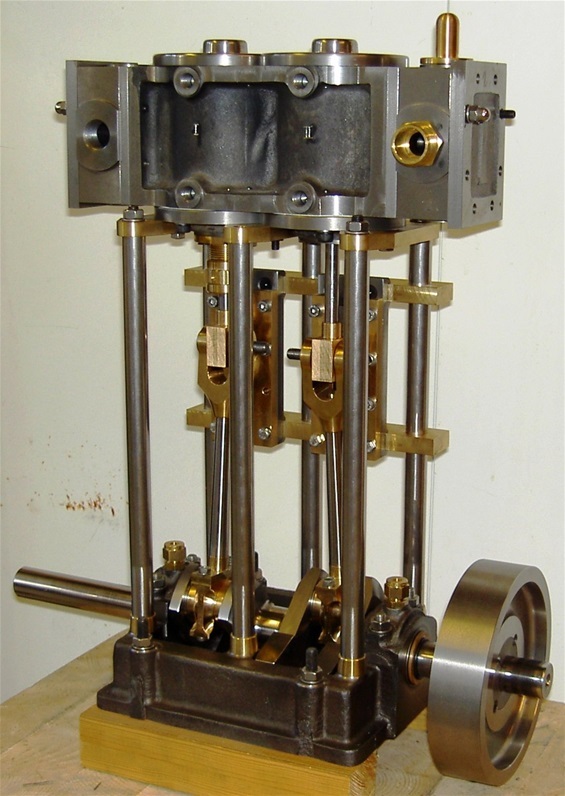 I have had a Taylor engine 2 1/4 + 2 1/4 x 2 ¼, in the building process for many years now. The building delay is due to change in work and later moving to Tonsberg. But the intention is still to get it up and running and to hopefully get Missiseipi up to 5-6 knots. 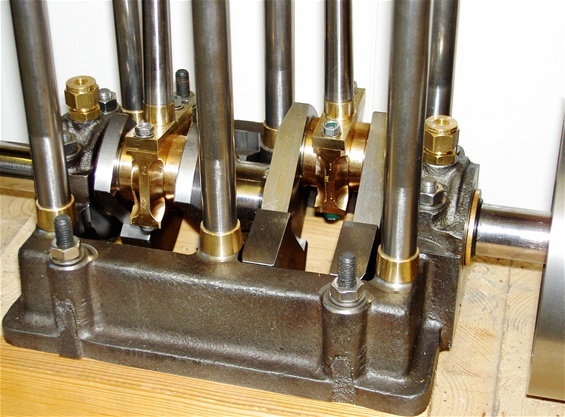 My friend John Maltby in England helped me to get the castings for this engine. I am also very glad that he has provided me with a lot of hints and tips during the building process. 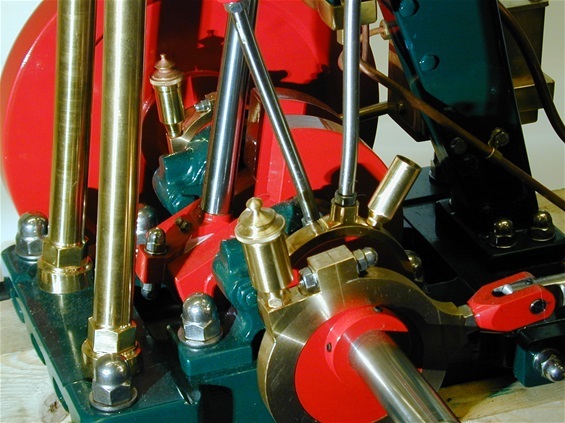 Mr. Maltby is a magnificent steam engine constructor and builder. 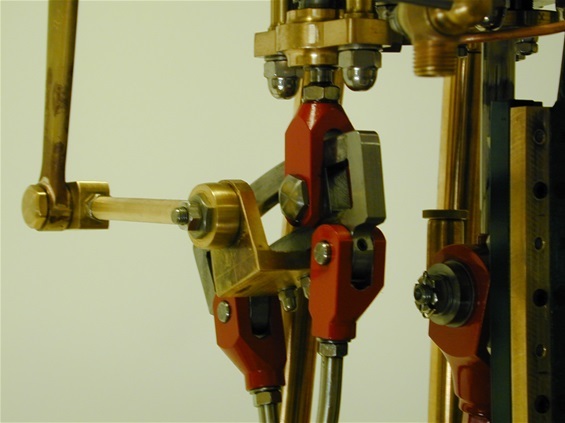 Crankshaft is made in one piece out of a solid bar.